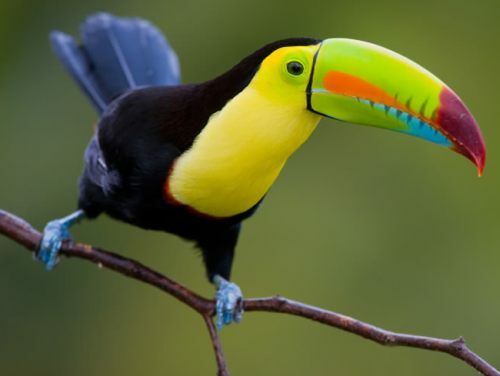 There are flights available from Vancouver to San Jose, Costa Rica on Delta and American Airlines for just $379 CAD roundtrip including taxes. 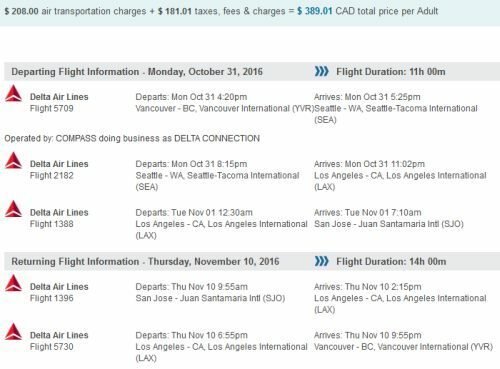 late September, October, and up to mid-November 2016. 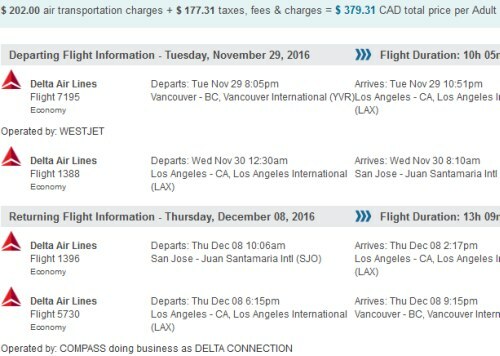 Update 8/23 - Some late November and up to mid-December 2016 dates are now available for $379 CAD roundtrip including taxes. There are also some in January 2017. November is the start of the dry season in Costa Rica. NOTE: The first flight shown in the Flight Network results may not be the fastest. Look for the ones that are 1 stop each way via Los Angeles.